Earlier this year the TypographJournals #TypographComp on instagram allowed me to discover (and connect with) so many talented creatives. One of the letters chosen to feature in volume 03 was created as part of an alphabetic sequence of submissions by recent grad Gary Reedman - I loved the individual letters submitted and was keen to shine a spotlight on the series, so I contacted Gary and asked him to share a little about himself & these amazingly delicious letters! "I am a Junior Graphic Designer currently approaching my first year in the industry, upon graduating I was lucky enough to work on key art for UK film releases including movies, Legend, The Water Diviner, Testament of Youth, Maps to the Stars and Oscar/BAFTA winning Wild final key art design. I am now currently working as an in-house designer within the PR and marketing company; Freuds. Working across a large range of clients, currently including KFC, Estée Lauder and ASDA. I am looking to build up experience and hopefully become freelance in the future to work more on work like my Cornetto ice cream typography. The Cornetto typography was an initial response to D&AD New Blood Monotype brief, which led to a personal project due to timing. The Cornetto letters were for each main flavour; Strawberry, Mint and Original to represent each of Edgar Wrights Cornetto trilogy of films. 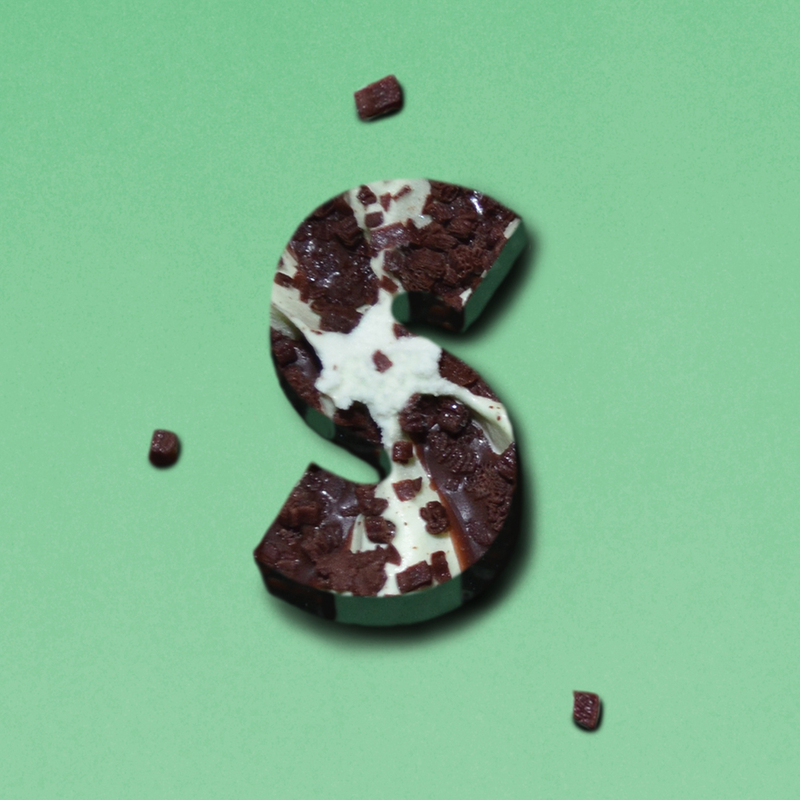 Each letter is formed from photographic shots of the ice cream, then combined and manipulated, image 'Process page' shows the process of each letter. Throughout the project I wanted to hold as much photographic integrity, making it part of the creative process and move away from digitally making the whole project." Check more of Gary's work via his personal website.